DANOBATGROUP will furthermore introduce the new services offered in China through its Centre of Excellence which has recently been inaugurated in Shanghai. With the aim of advertising its firm stake in the development of innovative manufacturing solutions, the machine tool and production system manufacturer, DANOBATGROUP will have a prominent presence at the coming edition of the CIMT fair in Beijing. 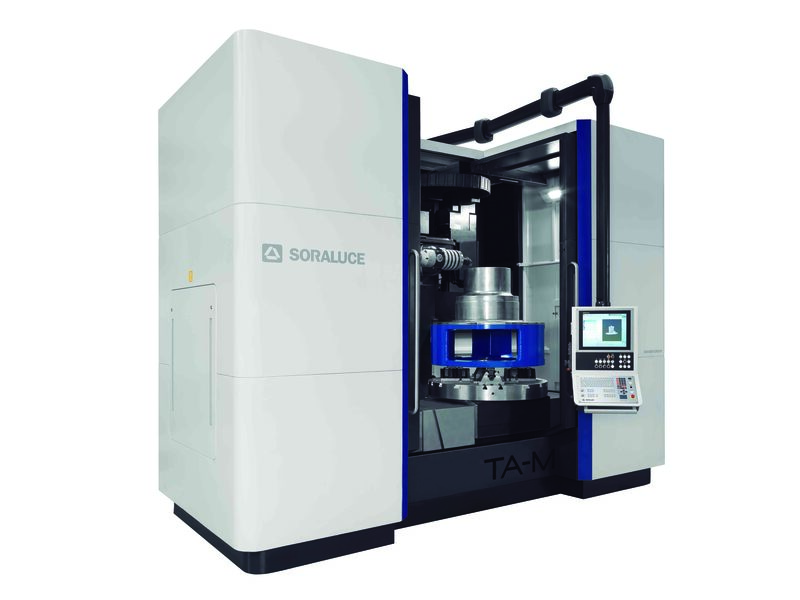 At the event, the company will showcase DANOBAT and SORALUCE brand solutions designed for carrying out high productivity grinding, turning, milling, boring and metal forming processes of great technical complexity in an exhibition space of 210 square meters in Hall E2 stand B001. During the CIMT, the IRD grinding machine, a solution for non-cylindrical shapes and radii, developed by the DANOBAT subsidiary in Germany, DANOBAT-OVERBECK, will be on display. 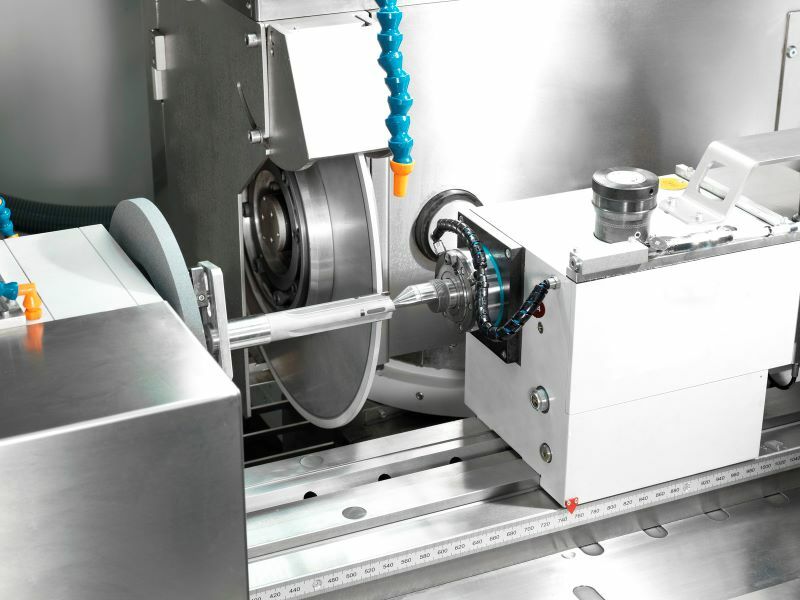 The IRD-400 grinding solution includes internal, external, surface and radius grinding, a solution especially designed for machining dies and moulds. The grinding machine achieves highly accurate finishes thanks to its B0 axis which swivels up to 91 degrees. Axis control means complex internal shapes can be made using one single wheel and in one contour line, thus maximising productivity. With this model, the 4-spindle turret includes a measuring probe integrated in the software with which the starting position of the workpiece can be detected. This ensures that, on the final finishing run, the system reaches the required measurement with precision. In round contours, roundness deviations of 0.5 µm can be reached. Another feature of this development is the high degree of exact synchronisation of all axis movements, including the rotation axis of the workpiece (C0), thus enabling eccentric grinding. This feature means that complex geometries can also be machined with the aid of coordinate grinding, and square, rectangular or freeform shapes can be made to great precision. During the fair, DANOBAT will showcase its state-of-the-art external cylindrical grinding solutions for the automotive industry. With the aim of responding to new trends, the company has taken up a position as a key-player in solutions for electric and hybrid motors. All these solutions are implemented in the most demanding automotive manufacturers, such as Shanghai Automobile Gear Works, Renault, Nissan, Fiat, PSA, Ford, Daimler, Scania, GKN Driveline, Magna and ZF among others. In addition to automotive solutions, information for the tool and hydraulic sectors will also be offered. Strengthening its innovation hallmark, the company has developed a solution for PCD tools not available on the market so far, which enables an increase of more than 250% in productivity. Furthermore, there will also be efficient solutions for hydraulic pumps, as well as the latest heavy-duty cylindrical grinding solutions, showing information about applications such as for railway axles, printing rolls and aerospace shafts. DANOBAT will offer information related to centreless grinding machines which incorporate a new design concept that aims to meet the needs for precision, rigidity and vibration damping. Solutions for tools, bearings and bars are some of the strategic applications on display,. The company is also a benchmark in vertical grinding machines, including operations such as grinding, measuring, turning, deburring, milling and miscellaneous machining. This range of grinders has been designed for applications such as bearings, gears, stub shafts, turbine discs, compressor stators, honeycombs, etc. As far as turning solutions are concerned, the company will exhibit information about underfloor wheel lathes, which have been specifically designed for reprofiling railway wheels and brake discs. This operation of this lathe does not require to dismount the train axle and it is equipped with the most up-to-date technology. The stand will also include information on SORALUCE Multitasking Centres, solutions aimed at maximising productivity. With the ability to perform milling, turning and grinding operations on the same machine, it offers a large capacity and a wide range of machining functions for multiple types of workpieces of different sizes and shapes, with great efficiency and precision. This product range is designed to respond to the machining needs of various complex medium-sized components. The machines respond to multitasking and versatility requirements, maximising productivity and minimising the time to prepare a part. In this regard, the new range reduces the number of required set-ups, maximising accuracy and minimising both cycle times and potential errors. SORALUCE provides a complete series of multifunctional capabilities thanks to the design of its tables and customised cycles and a wide range of multitasking heads developed for multiple operations, for increased capacity and functionality. SORALUCE offers a wide range of SORALUCE multitasking machines for workpieces with dimensions from Ø 1,000 to Ø 8,000 mm; standard multitasking compact range of machines (TA-M, TR-M and FMT), customised floor type multitasking centres (F range) with milling and turning tables, multitasking gantry machines (P range) and vertical turning centres (VTC range). Apart from the above-mentioned information, the stand will also provide information about the new DANOBAT LB coil-fed laser cutting. 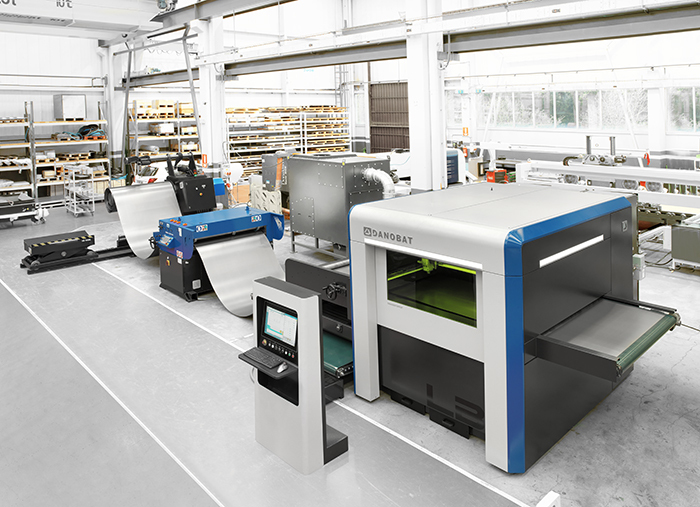 This is a high-productivity solution that combines all the advantages of fiber technology applied to laser cutting (efficiency, speed, versatility, minimum maintenance, etc.) with the benefits of metal coils (savings in material costs of up to 15% and a more efficient use of sheet metal). The main objective of this concept is to make significant savings in the material to be transformed and a considerable increase in productivity deriving from the reduction in machine downtime. This new solution can be used for applications such as cookware (discs for saucepans, frying pans, woks, knives, etc.) metal silos, automotive industry applications, lighting fixtures such as lighting housing, among others. During the course of the fair, DANOBATGROUP will explain its focus on industrial digitalisation, which is structured around an offer of intelligent developments using digital technologies, with an aim to forge ahead in the automation of real manufacturing environments. The latest technological advances make it possible to offer new high value-added services and, in this context, DANOBAT and SORALUCE will use CIMT to showcase their offer in servitization aimed at offering intelligent machine management, improving maintenance strategies, increasing the competitiveness of equipment and optimising the production of manufacturing plants. The above has already become a reality and the technology has been incorporated on machines and complete production lines in different industrial sectors, which are operational in different parts of the world. The digital services that DANOBAT and SORALUCE present at CIMT include the Smart HMI, an intelligent interface that offers assistance in the operation of the machine and allows access to information on the status of the equipment and its operation in real time. The main advantages of this service are the increased availability of the equipment, the logical operation of the control, the programming aids and the presentation of specialised machining cycles as well as documentation on operation and maintenance on screen. In addition, it offers facilities for assisted maintenance, such as troubleshooting aids and recommended recovery plans, as well as graphical information on energy consumption. The commitment to digitalisation on display at the fair also includes the Data System, a set of services based on technology using Big Data and data pick-up and monitoring systems that provide info on machine status, anticipate failures, plan stops and improve the productivity of equipment. The Data System is another of the digital solutions consolidated by the industrial group which has been installed on equipment of manufacturers belonging to different industrial sectors and that comes in very handy for aspects such as controlling the real consumption of the machine or the optimization of the efficiency of the production management and of the machining processes, among others. The capacities of the Control System will also be presented at CIMT. 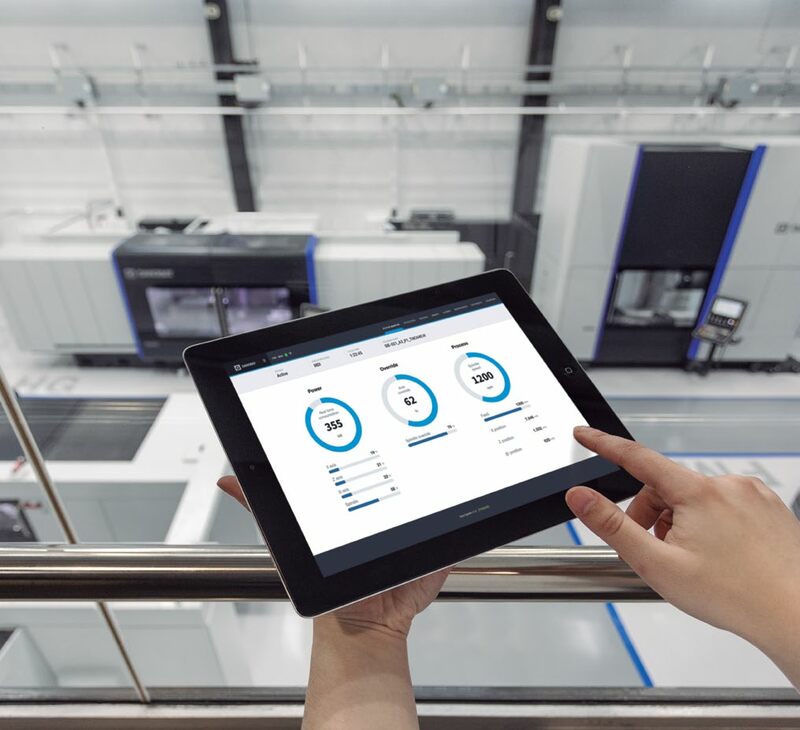 This is aimed at the management of automated manufacturing lines, focusing on bringing together all control processes to facilitate decision-making based on knowledge of the status of equipment and from a central information hub. The Control System also enables the monitoring of key data and indicators, generation of reports and information to optimise processes and increase safety, among other advantages. Finally, the manufacturers will present Intelligent Components, intelligent devices fitted on the machines to improve the productivity or machining capacity of the equipment. Within this family of solutions is the DAS+ active damping system developed by SORALUCE, which has already been installed on some 70 machines. 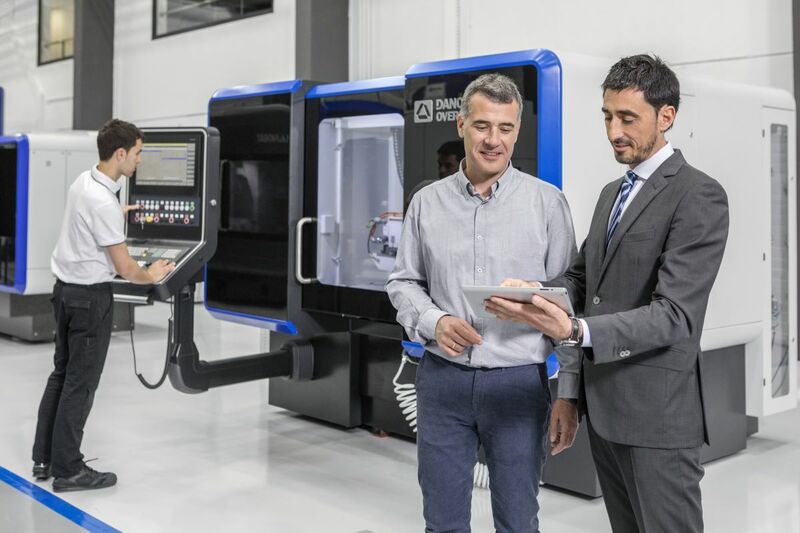 The manufacturer´s new facility for machine tools and advanced production systems consists of a workshop equipped for the repair of heads, a spare-parts warehouse, a showroom with high value-added machinery and an office area. This Centre of Excellence expands the branch office the group has had in Beijing for almost 30 years and offers a more intense activity. In addition, the new facilities will allow new services to be added in China. 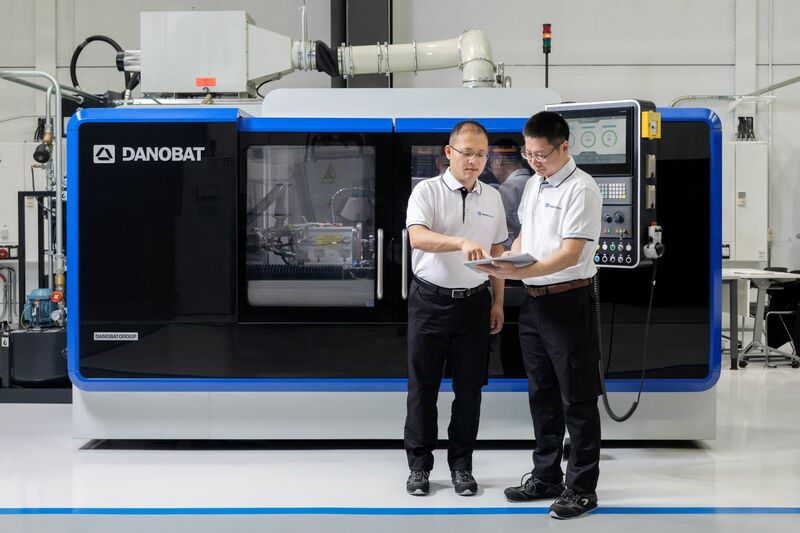 The Shanghai location will now offer customised demonstrations and tests to customers, where a specialized local technical team provides efficient and close-by technical assistance and training services, with immediate delivery of spare parts and the possibility of carrying out repairs in very short times. DANOBATGROUP´s establishment in Shanghai aims to position its two top brands - DANOBAT and SORALUCE - among the most prestigious on the Chinese market. It will also serve to strengthen its sales and technical service. This commitment allows the company to strengthen ties with its customers and offer a more nearby local service, which at the same time is specialised and with a greater added value. This installation, in which initially 10 people are already working, expands the range of services of DANOBATGROUP in China and ultimately endeavours to boost the sales in the Asian country, in particular in the area of Shanghai, one of the most important industrial hubs in the country. The group aims to achieve annual sales of more than 40 million euros on the Chinese market over the next two or three years. China has historically been a key market for the business group, where it has been present with a local team of more than 30 people since 1991. 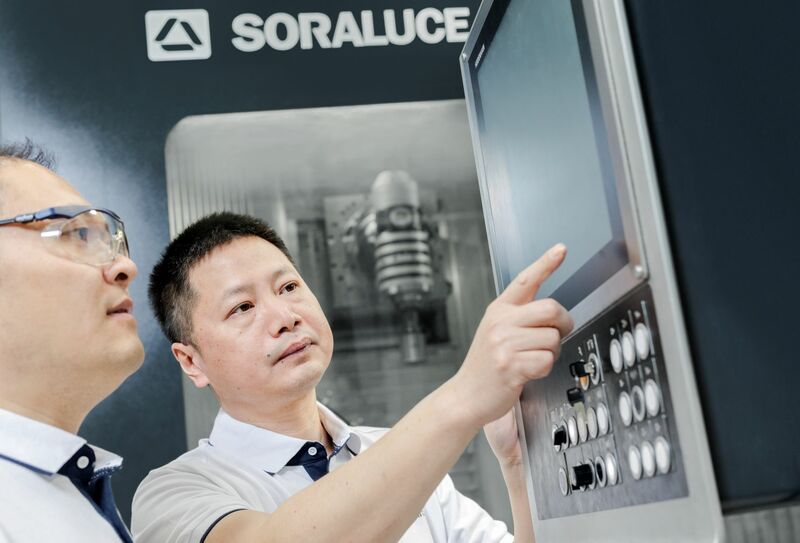 With more than 600 machines installed in the country, the experienced local team is aware of the specific needs of Chinese customers, and at the same time up to date with the cutting-edge European technology DANOBAT and SORALUCE use for their developments. This is the reason why DANOBATGROUP is able to offer its Chinese customers global technology with technical knowledge, service and local availability. With 65 years of experience in the field of technologies applied to industrial manufacturing, DANOBATGROUP has a staff of over 1,300 highly qualified people around the globe. The group is an international benchmark in the sector of machine tools and technologies applied to industrial manufacturing.